Even the most modest shower space will be transformed by this stunning design. 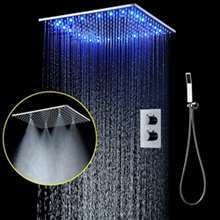 Built-in hydro-powered device powers the LED lights, which provide visual shower temperature cues to reduce water waste. All Fontana LED shower heads change color by detecting water temperature. Shower Head Size :available 8"; 10"; 12"; 16" & 20"
Not happy with this purchase. The hose of the hand shower in this Oil Rubbed Bronze Shower System goes everywhere except where you want it to. 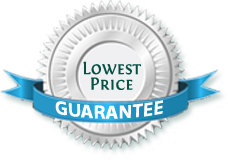 Reviewer: Greg Balmer from Fort Lauderdale, Fla. I was kind of skeptical about making this purchase considering the terrible reviews that were posted earlier, but then I just couldn't ignore the huge price cut (this was on sale when I bought it, and it still is as I write this review). I was able to save almost $500 on this purchase, which is kind of a big deal for me. So I went ahead and ordered one. I was worried that the delivery would be late, but then it actually came as agreed. I was pleasantly surprised since I already conditioned myself that it would be late. Maybe I'm just luckier than the others or maybe they fixed their shipping after those reviews. Nevertheless, I'm just glad it was delivered on time. 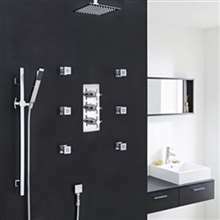 The shower system looks kind of nice, with the dark oil rubbed finish and the slim design. The design profile works well for our bathroom. As to how it works, well it works just as expected. The LED lights are nice, though I wouldn't say they were as bright as shown in the picture. the shower set was installed last week , looks and works just beautiful we also love the led light effect. Was hoping the color would be a notch lighter but nevertheless overall happy with our purchase.